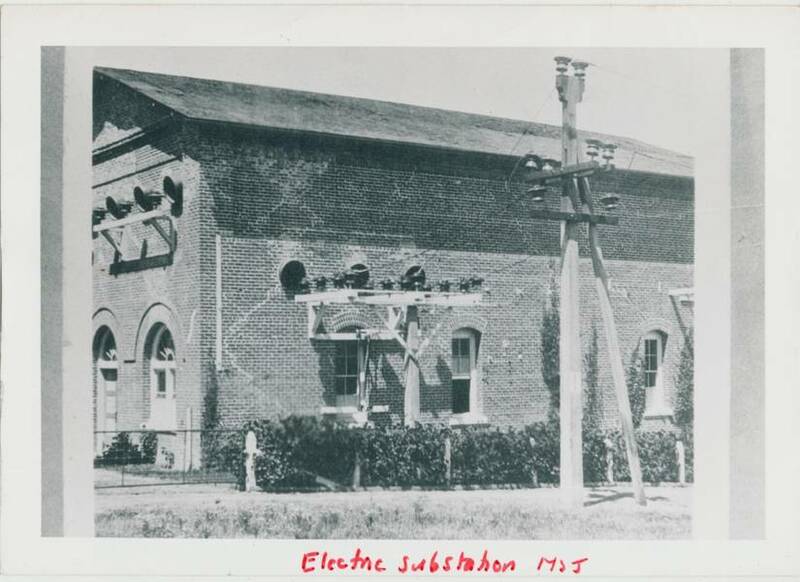 I need help to approximately date a photo from the multipart insulators in use. This view approximately matches a photo in Elton Gish's Book: Multipart Porcelain Insulators (2nd Edition) page 70. The resolution of the photo is better so hopefully the insulators can be identified with approximate dates of manufacture. I think there are two kinds: ones on the pole and ones on the rack above the doorway. Two ICONner's identified the insulators on the poles as either M-4384's or M-4600's which places the date at 1904 or later. The lack of any suspensions in use suggests a date earlier than 1911. This brick building was heavily damaged in the great April 1906 San Francisco Earthquake and you can see the extensive repair work in the photo, which suggests an approximate photo date of 1907 - 1910.